Originally posted on Opensource.com. Reposted using Creative Commons. Seventy people gathered together one sunny Oakland afternoon, to volunteer and improve their city. There were no rakes or yard tools normally seen at volunteer day events though. No paint brushes, no trash bags, no canned soup bins. These seventy people were laden with laptops and were volunteering to improve the city’s website. This group of engaged citizens were building Oakland Answers, a new easy way to get answers for the most common questions asked on the Oakland city website. From finding out how to pay parking tickets, to checking what jobs the City was hiring for, this new website was citizen focused and community built. 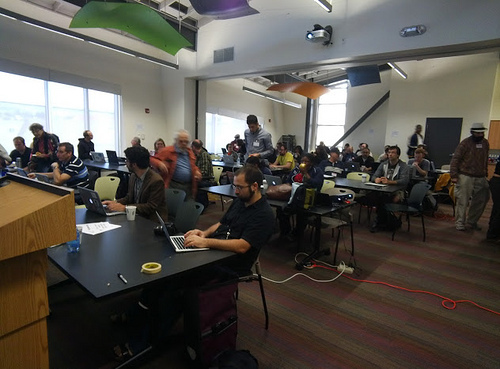 The day long event was called a “writeathon” and the majority of folks in the room were not web developers, but long time Oakland residents who came to write answers. Technologists were there too though, setting up servers and forking the open source code for the site. These web developers, the answer writers, and the City staff were all taking part in the growing new movement of civic hacking. Open source software is fundamental to civic hacking. Passionate volunteers write code and invent services that improve their own neighborhoods, but do so in a way that can be repeated in other communities around the world. Being able to easily share code without restriction is what allows for civic technology to scale. For example, a few years ago in Boston there were severe snow storms that buried the fire hydrants. The same snow was downing powerlines and sparking fires. 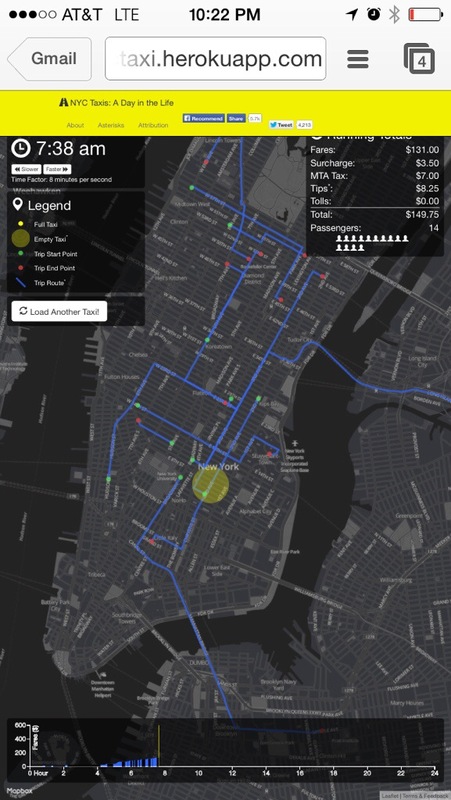 Some civic hackers saw this problem and created Adopt-a-hydrant – GithHub, a way for neighbors to volunteer to shovel out the hydrants on their block. The following Summer, the same code was forked and redeployed in Honolulu, not for snow but for tsunami sirens. Adopta has since been redeployed dozens of times and is being constantly improved by coders across the country. 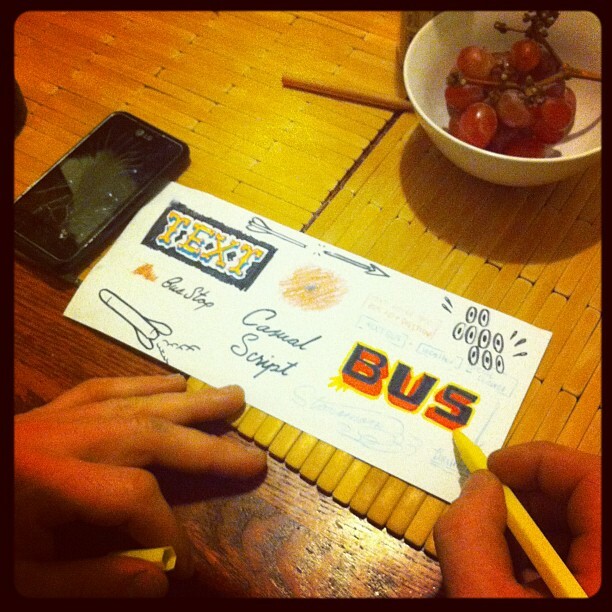 A great first project is to include your city in an existing service. 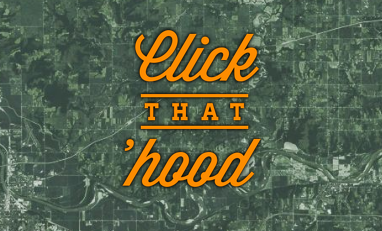 Take Click that Hood – GitHub for example. It’s a fun game that helps teach about a city’s neighborhoods. Whats great about it is that it has clear instructions for adding your own city to the game. These instructions include using open source tools, collaborating on GitHub, and finding open data — all necessary skills for getting started in civic hacking. The civic hacking movement is dependent on being able to easily find data about governments and the places they govern. If transit data, like bus schedules and train station locations, aren’t available than we couldn’t make any useful apps about transit. Luckily, many cities understand the importance of making their data available and have open data portals now. Data.gov has a list of many of the government data portals around the country and world. These portals gather all the available datasets that a City has and put them all online in one place. The best data portals have that data in a machine readible format, so that it can be easily included in apps. Check your City’s website to find if a data portal exists. 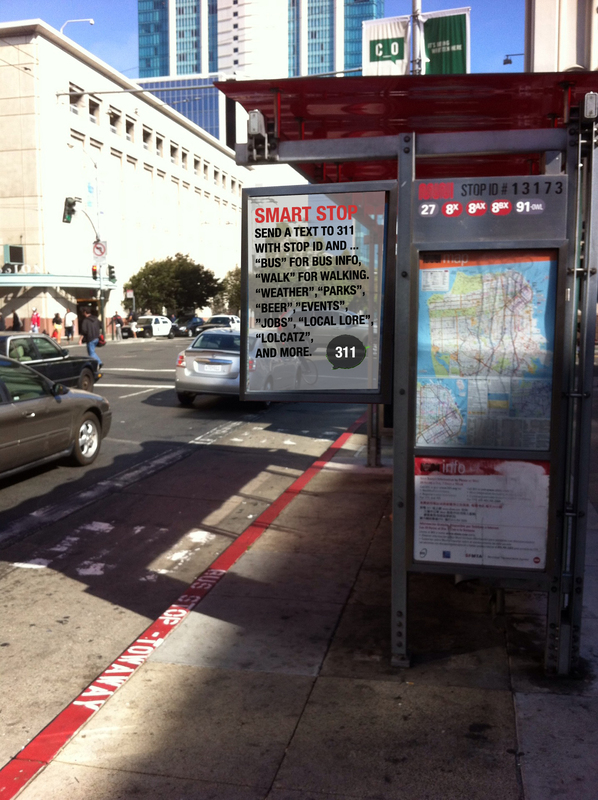 If not, then working with your City to get one setup is a great civic hacking project to start with. It’s important to remember that civic hacking includes both community and technology. All aspiring civic hackers need to join with others to solve our civic problems together. Check out the Code for America Brigade to find a local volunteer group or start your own. The best part of joining up with other civic hackers is finding out how they’ve achieved successes in their own cities. The Brigade is one of the best resources for discovering the latest open source tools and projects to work on. Also, working with City staff and civic leaders who are part of the Brigade is vital so that the civic technology apps created by civic hackers solve real societal problems. Many different skills and many different perspectives are needed to work on problems that effect many different people. 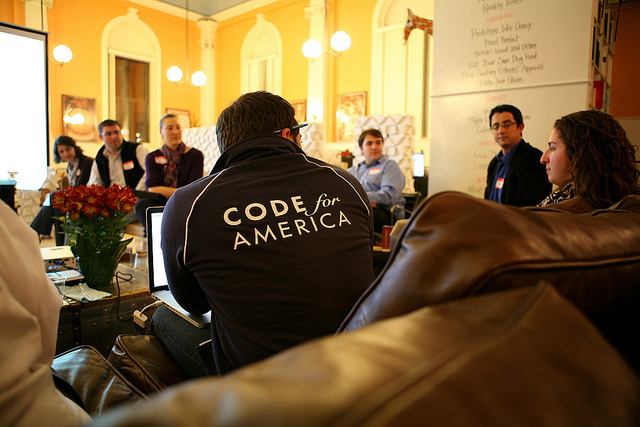 Finally, to get really immersed in the civic hacking movement, consider applying for the Code for America Fellowship program. Sound track included. Press play on the vid to start the cumbia and check out my trip. Bogota also has a sprawling Bus Rapid transit system. The @TransMilenio has triple-articulated busses, dedicated lanes, and is crazy packed. Bike lanes on all the sidewalks. You have to ride reaaaal slow though. Most accidents are from people walking in front of bikes. Not sure if I like it. La Ciclovia! I wrote about this back when. Got to check it off the bucket list. Separated bike lanes in the middle of dedicated bus rapid transit lanes in between a boulevard that’s closed to traffic for the day so families can run and bike together. What’s your city doing? Tons of families and every block where employees of the Ciclovia directing traffic. Free Zumba in Parque de Simon Bolivar. Historic architecture sprinkled all over. And around every corner were really chill neighborhood parks. They started making parts of the Ciclovia routes permanent. Got to meet Bogota’s most up street artist. DJ LU. He was hired to paint all the dividers on the Ciclovia. He gave me a stash of stickers and posters. Cool guy. The second biggest city, Medellin is warm, gorgeous, and full of beautiful folks. It was super dangerous back when, but fun and safe now. Bandeja paisas is a common dish from Medellin, Colombia. The food from that part of the country is what’s known around the world as Colombian food. We got rice, red beans, an egg, platanos, a small arepa, aguacate, hella chicarones, chorizo, and some other meat too. The @MetroMedellin runs fast, clean, and dependable. Packed full of jerseys right after a football game gets out. Visited the @Rise_group at EAFIT University. Nice campus. Showed them the new new in map making. They taught me cutting edge spatial maths. There was an urban planning museum on a local hill top. Went to a raw graffiti, bboy battle up in the hillside neighborhoods. Tons of families crowded the street for the battle. Some local famous writers were judging the rookies. Barefoot Park. You start by taking your shoes off then meander through the bamboo forest. Then, eyes closed, you feel your way through the maze. After massaging your feet in the sand, you can wash them off in these sitting pools. A really tall afro-caribbean guy stepped out of the little door moments later. Sunset on the old colonial wall. Finished my trip in the paradise of Parque Tayrona.